E-Safety: Is your child safe on the internet or when using a mobile phone? Are you? We do lots in school about this very important area and to help you at home the on line publication, ‘Digital Parenting’ may help. It contains lots of very useful information so please take time to read it carefully and talk about e-safety at home. Follow the following link to view on line:Click here! The following link may also be useful to parents. NSPCC Net aware - This has lots of useful information on social media and gaming. Think you know- CEOP - This site is an excellent resource for all ages, both children and adults. You can also click on their report abuse to report any online concerns, indecent images or cyber bullying etc. There have been lots of updates in the media about new Apps that are coming to light and how they can be harmful to children and effect their social and emotional health. 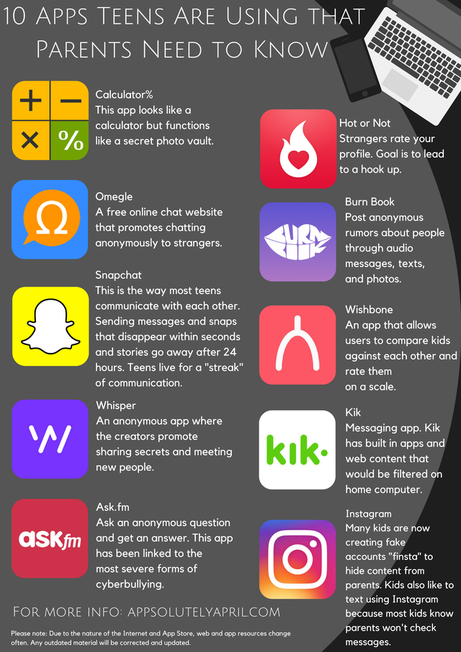 If you are concerned about your child and the Apps they are using then it is important to talk to them about how they use this technology and what problems they may face. If you are concerned you can always come and speak to your child's class teacher or Mrs White. These are a few that have been highlighted recently. We know that they are being aimed at the teenage market, however younger children have been known to be using them so it is better to be aware. 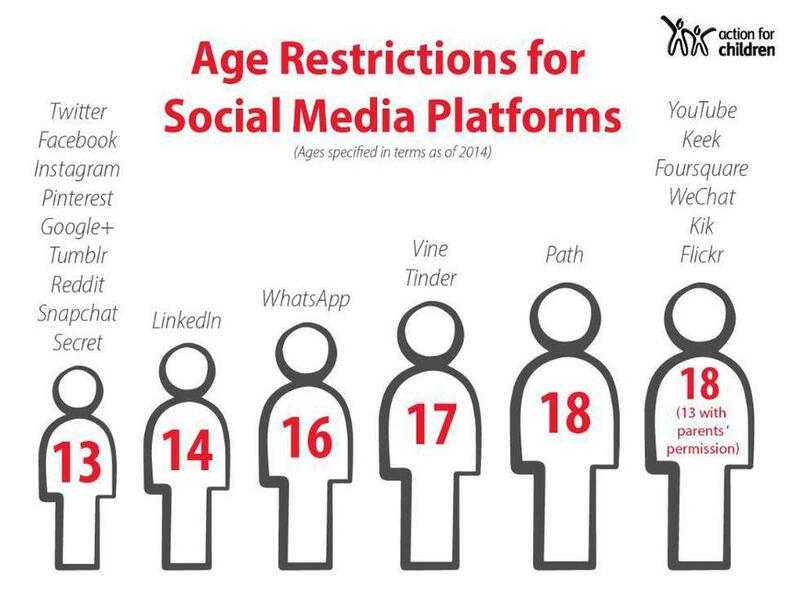 Recently, our digital leaders did some research on the age restrictions of social media. They were surprised with some of the results and we're sure you would be too! Even if you have allowed your child to sign up to these sites and lied about their age, for example, stating you are 13, by the time you are actually 13, both Facebook and the outside world will believe you are 18. Would you be happy with your 13 year old child receiving content, adverts and messages aimed at 18 year olds? This term our Year 5 and 6 E-cadets are continuing to work on their tasks. We are delighted to announce that our E-Cadets have been presented with the eCadet Gold Centre of Excellence for online safety and digital citizenship. This is a testament to how hard our eCadets have worked and the impact they have in our school. There are only 12 schools in the UK with this award and we are the first in Somerset. Remember that our E-cadets are there to offer advice or support whenever your child may need it. We have a box in the square where they can post any concerns they may have or they can talk to them on the playground.